Superior Groundcover, Inc. was established in March of 2000, introducing the first Express Blower® truck to West Michigan. A fantastic team and loyal customers have helped Superior grow to be one of the largest blower truck fleets in the United States, as well as operating a conveyor truck fleet throughout Michigan and Indiana. Our business model focuses on supplying unique material placement equipment and services, offering various solutions to material placement needs on job sites throughout the United States. Our equipment is utilized by clients in multiple industries including landscaping, playgrounds, green roofs, foundation drainage, erosion control, turf closure systems, hydroseeding and more. Superior operates one of the largest fleets of blower trucks in the United States. Working together with our conveyor truck fleet, we have created the solution to many unique material placement needs. 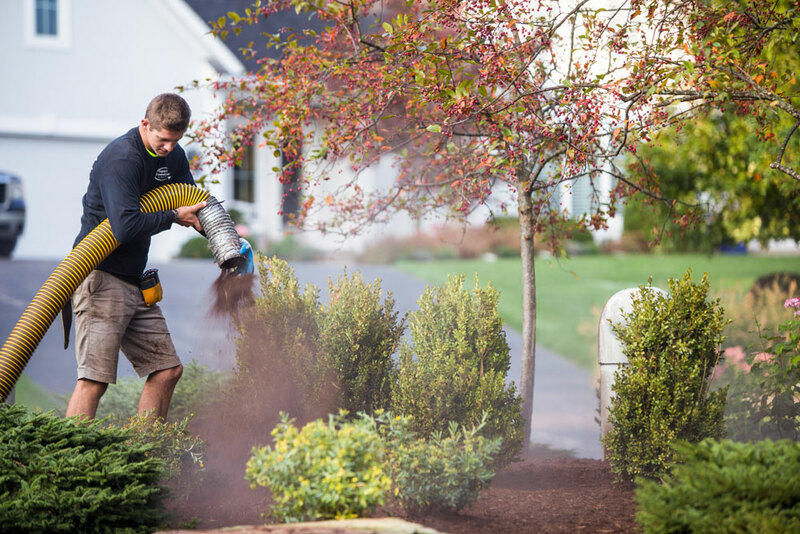 Our industry-leading equipment gives us the ability to provide our clients with unmatched production rates while installing bark, mulch, green roof soil, compost, stone, and sand. Our employees are a key metric to our success. Teamwork and years of hands-on knowledge allow Superior Groundcover to achieve industry-leading production rates and unmatched client satisfaction. Titus Kamps founded Superior Groundcover, Inc. Our main focus during the first several years was blower truck installation of landscape mulch, playground mulch, and compost. Superior Groundcover, Inc. enters the green roof industry, completing our first major green roof media install project @ the Target Center in Minneapolis, MN, home to the NBA Minnesota Timberwolves. Superior Groundcover, Inc. introduces our first stone slinger conveyor truck to the Michigan & Indiana markets. Superior enters the landfill and coal plant permanent closure industry, installing sand infill into ClosureTurf® systems. Superior Groundcover, Inc. acquires a local hydroseeding company, creating an additional solution for our customers needs. Superior Groundcover, Inc. adds a very specialized sand pumping truck to our fleet, allowing us to better serve Michigan beaches, construction sites, and the ClosureTurf® industry. You become part of our history.